It’s always best when things run smoothly on a vacation and the Cruise & Travel Experts team does its best to get the details right so there are no delays to your fun. Obviously, any trip requires careful planning. Here are some steps you can take to prepare for a safe and enjoyable trip outside the United States. Most U.S. citizens must use a U.S. passport to travel overseas and reenter the United States. A passport is an internationally recognized travel document that verifies your identity and citizenship. Most foreign countries require a valid passport to enter and leave. Some countries may allow you to enter with only a birth certificate, or with a birth certificate and a driver’s license, but all persons, including U.S. citizens, traveling by air, must present a valid passport to reenter the United States. If you are traveling by land or sea, you must provide evidence of both your U.S. citizenship and your identity when you reenter the United States. For many land or sea trips, this means you can travel using the new U.S. passport card instead of the normal passport book. Make sure your passport and other forms of identity are current weeks before your departure date. If you are traveling with children, be aware that some countries have instituted requirements to help prevent child abductions and may require travelers to present proof of relationship to the children and evidence of consent from any non-accompanying parent(s). ■ Pack light so you can move more quickly and have a free hand when you need it. ■ Carry a minimum number of valuables and plan places to conceal them. ■ Use covered luggage tags to avoid casual observation of your identity and nationality. ■ Avoid packing IDs, tickets, and vital documents in backpacks or other places you won’t be able to see at all times. ■ Make sure you have a change of clothes and toiletries along with any medications in your carry-on luggage just in case. ■ Pack a pair of comfortable shoes and bring an extra sweater or jacket in your tote so you can add or remove layers (as local weather can change in the course of a day and from destination to destination). 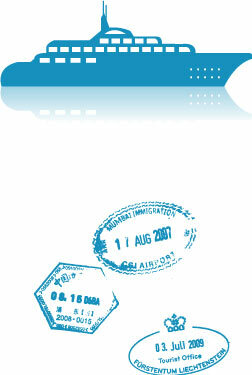 Make two photocopies of all your travel documents in case of emergency or if your documents are lost or stolen. Leave one copy with a friend or relative at home. Make sure you have the contact information for the nearest U.S. Embassy or Consulate. Consular duty personnel are available for emergency assistance 24 hours a day, 7 days a week, at U.S. embassies, consulates, and consular agencies overseas, and in Washington, D.C. If your family needs to reach you because of an emergency at home, or if they are concerned about your welfare, they should call the Office of Overseas Citizens Services in Washington, D.C. at 1-888-407-4747 (during business hours) or 202-647-5225 (after hours). The State Department will relay the message to the consular officers in the country where you are. The consular officers will then try to locate you, pass on any urgent messages, and, if you wish, report back to your family in accordance with the Privacy Act. If you plan to drive overseas, you may need to obtain an International Driving Permit (IDP). Many countries do not recognize U.S. driver’s licenses, and it is illegal to drive without a valid license and insurance in most places. You should check with the Embassy of the country where you plan to travel to find out more about the driver’s license and car insurance requirements. 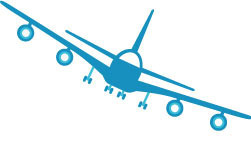 ■ Prepare to handle money overseas by checking that you understand the exchange rate before you travel. 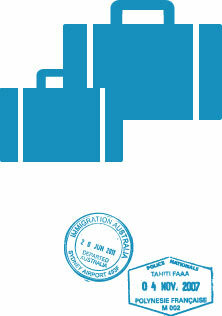 ■ Before you leave, notify your bank, credit card company, or other financial institutions that you are going overseas. ■ Avoid carrying cash and consider using traveler’s checks or major credit cards instead (but make sure they are accepted at your destination before departing on your trip). ■ Change traveler’s checks only as you need them. ■ Do not flash large amounts of money when paying a bill. ■ Learn about local laws and customs. Make sure your vaccinations are up-to-date. Vaccinations are required for entry to some countries and foreign visitors are required to carry an International Certificate of Vaccination (aka Yellow Card) or other proof that they have had certain inoculations or medical tests before entry. Before you travel, check with the foreign embassy of the country to be visited or transited through for current entry requirements. Health Experts Recommend Vaccinations for Travel to Some Countries, and the U.S. Centers for Disease Control (CDC) and the World Health Organization (WHO) can provide you their recommendations for vaccinations and other travel health precautions for your trip abroad. You may have coverage from other sources that provide you with similar benefits but may be subject to different restrictions depending upon your other coverages. You may wish to compare the terms of the travel protection plan offered via the Travelex link below, with your existing life, health, home and automobile policies. If you have any questions about your current coverage, call your insurer, insurance agent or broker. If your insurance policy does not cover you abroad, consider purchasing a travel protection plan that not only provides coverage for Emergency Medical expenses, but also coverage for Trip Cancellation/Trip Interruption, Emergency Evacuation/Repatriation, Trip Delay, Baggage Delay and more. The State Department issues Travel Warnings to recommend postponing travel to a country because of civil unrest, dangerous conditions, terrorist activity, or, because the U.S. has no diplomatic relations with the country and may have great difficulty in assisting U.S. citizens in distress. Travel Alerts disseminate information quickly about terrorist threats or other relatively short-term or transnational conditions that could pose significant risks to you and affect your travel plans.